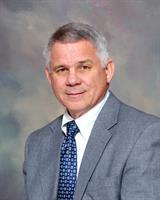 This January marks a milestone anniversary for our Vidalia Financial Advisor, Charles “Mac” Jordan, CLU®, ChFC®, CAP®. Mr. Jordan celebrates his 15th year with Ashford Advisors. With over thirty years in the industry, he has focused on helping business owners and professionals get financially organized and implement business strategies for short and long-term goals. Mac Jordan joined The Guardian Life Insurance of America® in the Vidalia Office of Ashford Advisors in 2004, after fourteen years with Prudential. Mr. Jordan is passionate about giving back to his community and is an active cyclist. Every year, he participates in the Paul Anderson Youth Home Cycling Challenge to raise funds and awareness for the organization. "Mac brings great passion and integrity to his business. He’s committed to his clients and the work he does within the community. I congratulate him on this milestone anniversary,” commented V. Thomas Purcell, CLU®, ChFC®, CEO of Ashford Advisors. Ashford Advisors is an agency of The Guardian Life Insurance Company of America® (Guardian). Securities products and advisory services offered through Park Avenue Securities LLC (PAS), member FINRA, SIPC. OSJ: 900 Ashwood Parkway, Suite 400, Atlanta, GA 30338 (770)390-2600. PAS is an indirect, wholly-owned subsidiary of Guardian. Ashford is not an affiliate or subsidiary of PAS or Guardian. Ashford Advisors is not registered in any state or with the U.S. Securities and Exchange Commission as a Registered Investment Advisor 2019-72767, exp. 01/21.